This reclining chair offers a cushioned seat with optimal comfort. It has wood and metal interior frame with black bonded leather match upholstery. It also features plush cushion back and contoured seats with stitched detail. 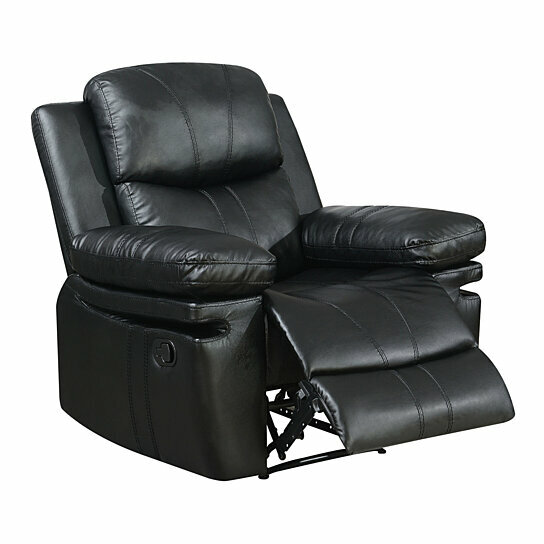 With metal reclining mechanism, its side pull out lever allows you to recline comfortably in the ease with stretching the legs on the pop-up footrest, relax yourself and enjoy watching tv or read a book.